The program responds to the growing demand for specialized professionals in the international hospitality industry. According to the WTTC Economic Impact report 2014, the hospitality and tourism industry is the second largest employer in the world, generating one of every 11 jobs, and projected to reach 75 million jobs in the next decade. 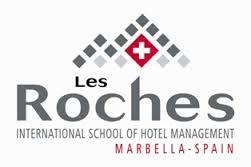 Les Roches Marbella International School of Hotel Management, ranked by industry hiring managers as the number one hospitality management school in Spain and among the top worldwide, will launch a new postgraduate program in Marketing Management for Luxury Tourism in October 2015. This program answers industry demand for highly specialized professionals for the luxury market segment, which is increasingly becoming more relevant around the world. The new Marketing Management for Luxury Tourism postgraduate program lasts from nine to 12 months, and includes an academic semester at the Les Roches Marbella campus, three months of off-campus case study development, and a three-month internship in the industry. The internship includes an online program about professional development. This postgraduate program is designed to provide professionals an understanding of the impact of new technologies and trends to equip them to lead marketing projects and strategies in the dynamic global tourism environment. It focuses on the specific competences and knowledge aimed at high-class segments, exclusive services, premium products, and reputable brands. Candidates are tourism industry marketing directors, managers, and graduate students from any other specialty who would like to develop a career in marketing within the tourism industry. For more information, please visit the Les Roches Marbella website www.lesroches.es. Les Roches Marbella is a private Spanish institution that specializes in the fields of hospitality and tourism. It offers undergraduate and post graduate programs in International Hotel Management, both combining strong academic programs in management with internship opportunities and practical training in the best hotel groups and hospitality establishments around the world; and a new postgraduate program in Marketing Management for Luxury Tourism. Les Roches Marbella is an official branch campus of Les Roches International School of Hotel Management and is accredited at university level by the New England Association of Schools and Colleges, Inc. (NEASC). Les Roches Marbella is ranked as the No. 1 international hospitality management school in Spain for an international career (TNS Global Survey – 2013). Located in the heart of Spain’s Costa del Sol and close to the famous harbor of Puerto Banús, Les Roches Marbella offers its international student body a dynamic educational environment that allows them to flourish academically, culturally, and socially while embarking on exciting and diverse professional international careers. For more information, visit www.lesroches.es. Les Roches is part of Laureate Hospitality Education, a leading hospitality management education group (www.laureatehospitality.com) and the Laureate International Universities network—a global network of more than 80 campus-based and online universities in 29 countries. For more information, please visit www.laureate.net.